Gorgeous WATERFRONT POOL HOME located in the sought after community of Woodland Estates. Built in 2017 w/ attention to every detail. Vaulted tongue & groove ceilings with exposed beams, stunning wood look floors and ship-lap covered walls throughout. Custom kitchen with quartz counter tops, stainless appliances, and over-sized island open to dining area & great room. Perfect for entertaining! Amazing salt water heated pool with hot tub and paver surround. Brand new boat house just completed with gable roof to match house and 13k lb boat lift. 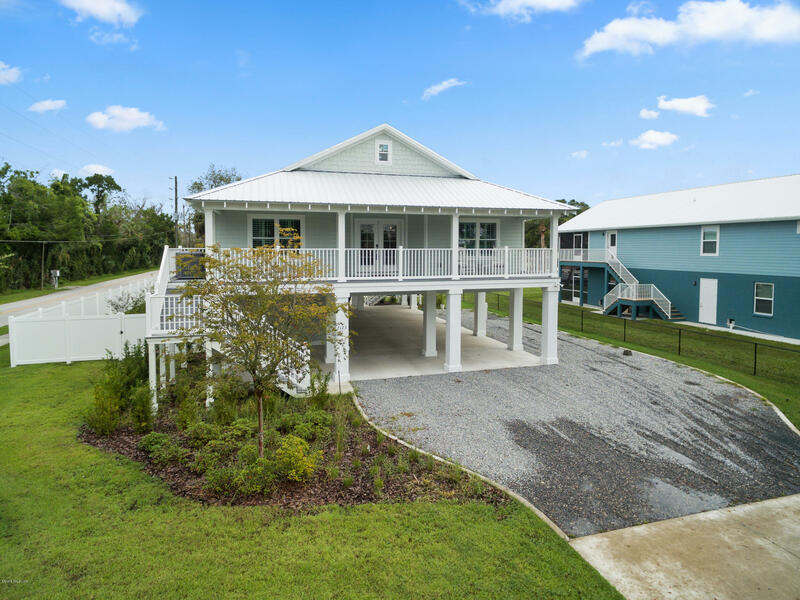 Huge front and rear composite decks with vinyl railings, high efficiency construction w/icynene insulation, mosquito repellent system, outdoor entertainment audio/tv, lower level with room for multiple cars, RV storage/hookup. MUST SEE!! Complete the form below and one of our agents will contact you. Or, if you'd rather, you can reach us via phone at 352-877-3887.